Masonry | Suwanee, GA | Allgood Construction Services, Inc. Welcome to Allgood Construction Services, Inc.
Allgood Construction Services, Inc. offers outstanding construction, repair, and replacement of stone, brick, and block work to homes and businesses in Suwanee, Gwinnett county, and throughout the metro Atlanta, Georgia area. Mark Allgood, Allgood Construction Services, Inc. Owner, is a Master Journeyman Mason with more than 28 years of experience in the masonry industry. Mark began in the masonry trade as a laborer in 1985 working during summers while in high school. After graduation, he apprenticed under a Master Journeyman Mason for three years to pay his way through college. Mark received his college degree in physical therapy, but after practicing for a few years, it was clear that Mark's true passion was in masonry construction and he returned to the industry. With Mark at the helm, Allgood Construction Services has successfully completed over 25 million dollars of masonry projects since opening in 2003. A huge difference between Allgood Construction Services and competitors is our years of experience in the Masonry trade. The fact that Mark and staff gathered knowledge through hard work and hands on experience in the Masonry field with thousands of successful jobs under our belt makes the difference in your final product. Our attention to detail stands out on every project we install. When we are selected as your Masonry contractor you can have the confidence that your project will be installed with quality and integrity and surpass industry standards for years of lasting results. These days many of the so called masonry contracting companies are owned and operated by people with little to no experience in the masonry field. This lack of experience results in a finished product that looks and performs like the inferior product it is. These products often meet an untimely demise due to poor installation methods that ultimately costs the recipient in both time and money. If you want a product that you can be proud of, that stands out above others in quality of product and workmanship then please, Call (770) 336-7876 for your next Masonry project! 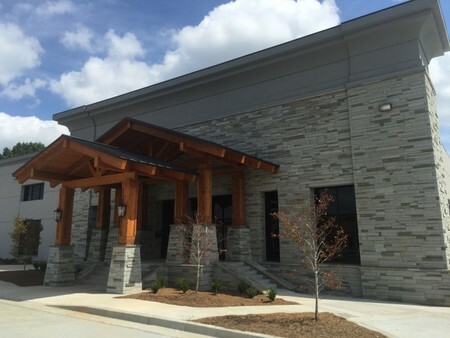 Allgood Construction Services, Inc. has offered quality masonry work to residential and commercial clients throughout Georgia since 2003. If you need something brick, cement, stone, or concrete built or repaired in the Suwanee GA area, call Allgood Construction Services, Inc. to discuss your masonry needs.